Considering the frequent deaths and accidents of elephants on rail tracks and damage that causes on trains, prompt action will be taken to avoid more elephant-train collisions, said Minister of Transport Nimal Siripala de Silva. This call for immediate plan by the Minister was set off by the recent tragic death of 4 elephants when they collided with a moving train carrying fuel. Accordingly, a special committee was appointed by the Minister last evening (19), headed by Ministry Secretary G. S. Vithange. This committee consists of officials from the Railway Department, Wildlife Ministry and a volunteer student Irosh Perera from Kingston University in America for the implementation of the technology domain. The discussion of the committee focused on installing electronic circuits near elephant passes on the railway lines and areas where many elephants wander close to the railway lines. Underground crossings for elephants as well as overhead bridges where elephants cross were also discussed as solution to the issue. Irosh Perera elucidated the success of the pilot project installing electronic circuits on the Mannar railway line near Settikulam area, to the Minister. The electronic circuit will signal the train operator whether there are any elephants on the track, allowing the train operator to act accordingly. The circuit will automatically inform the Railway Control Room as well. Alarms connected to the circuit will also warn off elephants from the railway tracks. 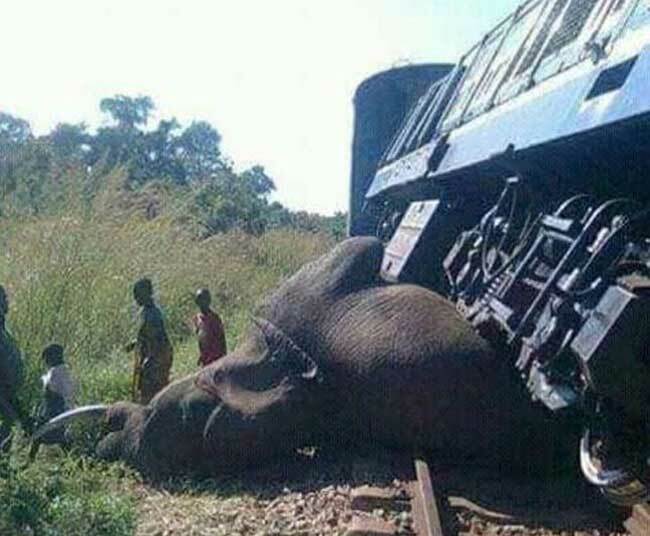 Transport Minister stated that the numerous deaths of elephants and the damage on the trains due to elephant-train collisions is a national crime and that it is also their duty to help conserve wildlife. Therefore, immediate measures should be taken on this by conducting a special study and necessary funds for the project can be obtained by submitting a memorandum to the Cabinet, informed the Minister to the committee.